There are a lot of activities that you can do with the children so as to entirely get into the cheeful holiday mood. Crafts are one of those activities that are agreeable to make all together. Fun Easter crafts for kids can range from the simplest ones that consist in coloring pages to more complicated ones that consist into making papier mache eggs, for example. Here I will share my top 5 fun Easter crafts for kids to make that aren’t too hard to make. 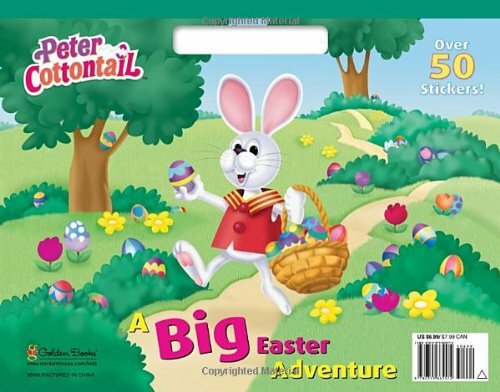 The very first activity your little ones can do on Easter are coloring pages. These include bunnies, eggs, lambs, flowers. All your kids need are some sheets of paper downloaded and printed from specialized websites. The indispensable tools are colorful markers, crayons or paints and a bit of imagination. An ever classic Easter craft for kids to enjoy is decorating eggs. This one works all the time and provides both little ones and adults with hours of pleasure. In addition this craft is absolutely easy and even toddlers can do them provided that you guide their hands. Egg hunts are a great way to pass the time on Easter Sunday. But it can be even more fun when kids wear hats or… bunny ears. Making bunny ears is thus another good craft for your little ones to make at home. For such a craft you will need a headband, white sheets of construction paper, one pink sheet of construction paper, glue and your child is ready to start creating her unique headpiece. Glue the ears on the headband. There are other ways to make such a craft, and you can choose to go for a more complicated way to create it. Baskets are also fun Easter crafts for kids to make. After all, on Easter Day, your little ones will take part to the egg hunt and collect as many chocolate eggs hidden by the bunny. The second option is a bit more intricate and consists in making the Easter basket from scratch using construction paper or an ice cream container. Here we have two different options for the children to make these crafts. The goal is to make an Easter nest. 1. A first option consists in cutting circles of different sizes. For such a craft you need a round container in which you push the circles. Glue the different circles with each other of the same size. Allow glue to dry and remove the nest from the container. Fill with Easter treats or eggs and chicks. 2. Make edible Easter nests. It really is a simple one. For such a craft you will need chocolate, cereals and silicon cupcake or muffin forms. Melt chocolate and coat cereals with it. Arrange cereals in the forms so as to give them the shape of a nest. Place in the fridge until firm. Remove the edible Easter nest from its container and fill it with Ester treats such as sugar grass, eggs and chicks. Tagged decorating easter eggs, easter activities for kids, easter coloring pages, easter crafts for kids, easter egg decorations, how to make easter baskets, how to make easter nests, how to make edible easter nests, make easter baskets.